Premium Quality mixture of selected Giant Flowered Gladioli carefully blended by us to provide an imaginative and pleasing selection of shades. Varieties in our blend include Espresso, Rood, Peter Pears, Blackjack, Princess Margaret, Zizanie, Rhapsody in Blue, Traderhorn, Jester, Purple Flora and Fiorentina, all premium sought after varieties - not a random mix of unnamed cheap types you might find elsewhere. 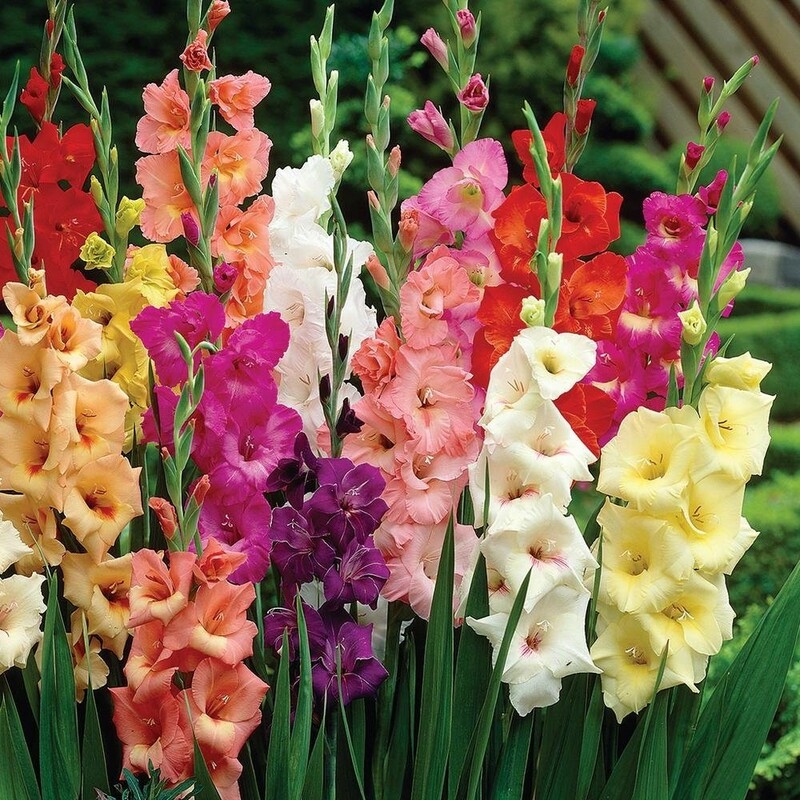 Can you imagine tall spires of Gladioli in strong vibrant colours, bursting skywards in Summer? They really are so simple to grow, each bulb primed to burst into life once planted to grow forth and provide a sensational stem of flowers. These Giant Gladioli can be cut for the house when in tight bud, or left to brighten your garden beds and borders. Supplied as a pack of 100 premium quality corms, ready to plant and enjoy the flowering spires that will reach up to 120cms tall.